Conrad Dieterich (1575–1639) was a Lutheran educator and pastor in the German lands during the early period of Orthodoxy. He was direc­tor of the Paedagogium, or university preparatory school, and professor of practical philosophy at the University of Giessen before receiving a call to serve as Superintendent and Münsterprediger in Ulm. He is per­haps best known for several catechetical writings, all of which were based on Luther’s Small Catechism. His Institutiones catecheticae (Catechetical Instructions) (1613) was one of the most important and popular text­books on Lutheran catechesis in the seventeenth century. For younger students, Dieterich also wrote the Epitome Catechetica (Catechetical Summary) (1614) that was widely used in Latin schools. In addition, Dieterich prepared Der Kleine Catechismus D. Martin Luthers (The Small Catechism of Dr. Martin Luther) (1616), a German catechism based on Luther’s Small Catechism for use in the churches and schools in Ulm. Although known for his educational writings, hundreds of Dieterich’s sermons were published during and after his lifetime. His sermons reveal a preacher whose messages were biblical and doctrinal as well as engag­ing. Perhaps most significantly, the sermons show that Dieterich re­mained a teacher in the pulpit. His sermons were often instructional lessons in the words of Scripture, and in the Christian faith and life. It is clear that Dieterich considered his role as preacher, in part, to convey information and instruction in the Christian faith, as well as to proclaim the Word of God to his hearers. In the classroom, the pulpit, or in his many written works, Dieterich was a Lutheran educator. . . .
On January 8, 1626, the church in Ulm announced a new order (Ordnung) for catechetical practice. This order was proposed by Dieterich and the other clergy in Ulm and approved by the city council. Published simultaneously as a general order for compulsory school at­tendance in Ulm, the rules for catechetical instruction required the par­ticipation of all young people in catechetical services in the churches held every second Sunday. In this way, the city’s young people were to learn the catechism and be examined in it prior to the first reception of the Lord’s Supper and prior to marriage. In his Catechismus Predigt, which Dieterich preached as part of the effort to introduce this practice, he addressed parents concerning their role and responsibility in the training up of children in the Christian faith and life. Dieterich’s expectations of parents and of the progression of instruction is clear. He explained at length the reasons why parents must educate their children. First, in his Word, God exhorts parents in great seriousness to teach his Word to their children. Moreover, Dieterich observed that God gives children to parents with the purpose that they bring them up in the fear and knowledge of God. For this rea­son, parents are stewards of their children and they are expected to train up their children in the faith. But parents were not alone in this work of teach­ing. These catechetical lessons were to be reinforced with the learn­ing received in worship services and later in schools. In addition to the scriptural mandate, Dieterich reminded parents of the practice of handing down the faith from the time of the first Chris­tians. This teaching was preserved in the catechism and brought to light again by Luther. Aside from pointing out the origins of the tradi­tional practice of catechetical instruction, Dieterich recalled that such teaching had been the primary means of communicating the message of salvation to children throughout the Church’s history. For Dieterich, the training of children is also done for the sake of their salvation. Implicit in the course of instruction is the activity of the Holy Spirit, working through the Word of God. It is taken for granted that the Spirit and Word are active in catechetical instruction. 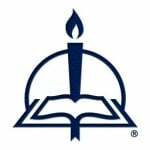 Dieterich emphasized that faith is necessary for understanding Abso­lution and the Lord’s Supper, and this is especially important as young people grow up and mature. An absence of faith could lead to a person receiving the Lord’s Supper to his or her condemnation. In the same way, instruction in the faith is important for marriage and a couple’s relation­ship with God. Once again, even more important within the family is that parents make sure their children are brought up in the fear of God and in his teaching. As parents, elders, and adults foster catechetical training, Dieterich urged that they should also be examples for young people to follow. If parents themselves are not instructed in the Christian faith or do not live the Christian life and know nothing of God and His Word, how will they teach their own children these things? In the same way, Dieterich en­couraged the leaders in the church and the community to maintain a good example for young people. In his sermon on the catechism, Dieterich emphasized the role of parents in catechetical instruction of children in the home. This instruc­tion was to move from the most basic elements to the more advanced, and included teaching children prayers, Bible passages, the simple text of the catechism (first without explanations), then Luther’s Small Catechism with explanations. Memorization of the parts lays a solid foundation and allows children to move on to a greater mastery and understanding of the material. Dieterich’s expectations regarding the role of parents in teach­ing the catechism and the nature of this instruction are clear. This teach­ing is essential, and, after all, “the most necessary thing in this world.” . . .
As soon as children are born into this world, bring them to God and His Church in Holy Baptism, so that through the same, as the bath of rebirth and renewal of the Holy Spirit, they are born anew, cleansed, and washed from sin, which they received in their mother’s womb and in which they were born (Psalm 51:; Titus 3:5; Ephesians 5:[1–]2). They are incorporated into the Church of God, thereby become children of God, and put on Christ with all of His blessings and benefits (Galatians 3:27). When the children receive these things at the same time as their mother’s milk, and when they begin to babble, they are brought to faith and knowledge of God, to prayer and fear of the Lord, in order that they crave the wise, pure milk (the Word of God) as newborn infants, so that they grow up through the same Word (1 Peter 2:2). When they arrive at the age of discretion, send them to school so that there they may be instructed in their catechism—the foundation of faith—Christian discipline and virtue. In this way, they learn the Holy Scripture from their earliest childhood (2 Timothy 3:15). Take your children to church, so that in the Divine Service with the hearing of God’s Word, they take part in prayer, singing, praise, and thanksgiving. Urge them to attend catechetical instruction, so that there they re­member not only what they have learned from God’s Word and their catechism in school and church through frequent repetition, but also that their knowledge increase and be strengthened day by day and year by year. As they begin to grow older, when the foundation of the Christian faith has been laid, grasped, and understood, they will go to the Lord’s Supper, which is the Paschal Lamb of evangelical Christians (1 Corinthians 5:7), and partake of it alongside other Christians in the congregation of God. Finally, when children have been brought up under the fatherly dis­cipline in the fear and admonition of the Lord, they will grow not only in age, but increase chiefly in wisdom and grace before God and human beings. . . . Through the instruction of Christian teaching and the training up in the fear of God, children are snatched from the devil as if from the jaws of death; they are brought up in faith to salvation. From the Creed they know God as Father, Son, and Holy Spirit. From the Ten Command­ments children learn to love God and their neighbors, and which vices they should flee from and avoid. From the Lord’s Prayer they learn how to pray and how they should call upon God their heavenly Father. From the Sacraments they learn how their faith may be strengthened and how in the Sacraments they may be assured of the gracious forgiveness of their sins, the attainment of God’s kindness, grace, and blessing in temporal and eternal prosperity. . . .
 Dieterich, Catechismus Predigt (1626) (Schleusingen: Zacharias Schürer, Matthias Götz, 1634), 116. This a select translation of Conrad Dietrich’s “Catechismus Predigt . . . ,” which was based on Luke 2:41 and preached on January 8, 1626. The sermon can be found in his D. Cunrad Dieterichs/Ulmischer Kirchen Superintendenten, Sonderbarer Predigten/So von unterschiedenen Materien . . . (Schleusingen: Schürer, 1632), 110–21. To learn more about this fascinating volume, check out our Q&A with the book’s editor, Timothy Schmeling. Excerpted from chapter 7 of Lives and Writings of the Great Fathers of the Lutheran Church, pages 113–26 © 2016 Concordia Publishing House. All rights reserved. 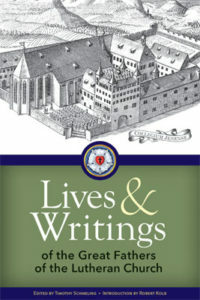 To order Lives and Writings of the Great Fathers of the Lutheran Church, visit www.cph.org or contact CPH at 800-325-3040.